This beautiful triangle open bracelet is a nice addition for your arm party, but is also beautiful next to your trendy watch. The bracelet has a triangle at the ends that fall over each other. The bracelet is suitable for every wrist! A girl can never have enough chains! Chokers are a real must-have. 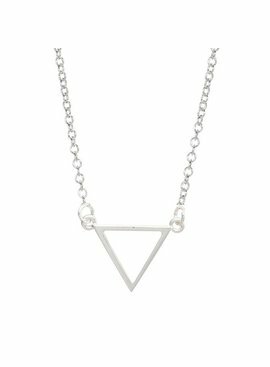 This trendy open triangle choker is perfect for both a cool and classy look. Available in silver and gold. These minimalist traingle necklaces combined with earrings are often spotted on the catwalk and with many famous fashion bloggers. A real trend! The small traingle chain is a must have for every trendy girl! 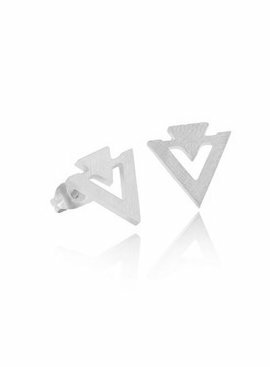 This minimalist triangle triangle bangle bracelet is totally hip. Bangles are super nice to combine with other bangles and bracelets! Shop this trendy bangle now!